I was in Lagos last summer when Adekunle Gold’s debut album, Gold dropped under the YBNL label. In passing, I heard this gentle guy on the radio, humbly talking about his work, and thought, Ok, this is something different. The first chance I got, I copped his album, and we have been inseparable ever since. The Nigerian music industry has experienced exponential growth in the last decade. Though we’ve produced a handful of truly timeless acts, the industry is also saturated with unoriginal and vulgar Rick Ross wanna-bes. Though he’s won the hearts and minds of so many Nigerians since his first single, Sade, dropped in 2014. Gold is what established this artist as a timeless breath of fresh air with, as Olamide put it, “music of the future”. Besides from the fact that his sound is incredible with amazing instrumental composition and soul-stirring lyrics, here are our 7 reasons why this artist can not possibly be slept on. In his wardrobe, in his lyricism, in his commentary, Adekunle is always authentic, vulnerable and a spiritual force. He has stated that several of his songs, including “Sade” and “Pick Up” were inspired by actual experiences. He dreams of using his truth to heal others, saying this is why he sings from his soul. And you know that I love that he sings mostly in Yoruba. He sees why preserving our traditions is actually critical for economic and spiritual survival. Hence he supports made-in-Nigeria brands that use traditional art to create modern experiences. He seems to agree with the saying that there is space enough in the sky for all the birds to fly, so we can lift each other up without losing anything. I’d like to see the word “Afrocentric” strangled and put on life support until it finds a reason to go on. 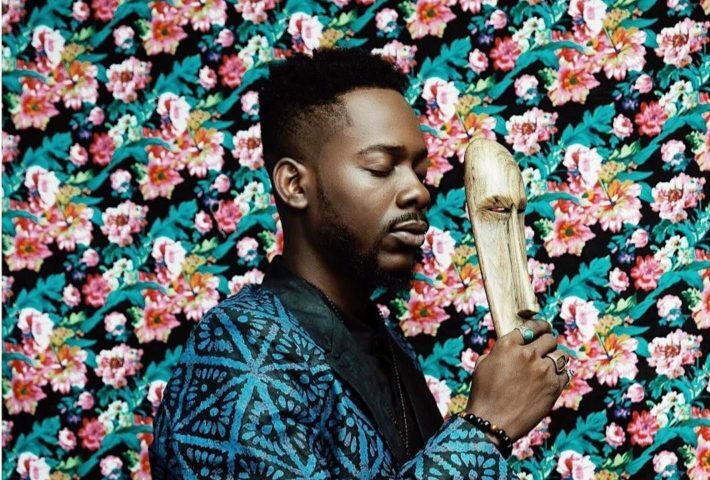 Describing Adekunle Gold as Afrocentric—especially within the African context—is meaningless considering that cultural pride and preservation should be the rule and not the exception. That said, Adekunle’s lyrics pull from the depths of his Yoruba heritage to teach important life lessons, like “mura si ise” and “ariwo ko ni music”. He also leads by example by embracing the best facets of his culture in his public persona. See how he handles tough interview questions, and you’ll know for sure that this guy is an old soul. Instead of saying “haters gonna hate”, Adekunle has been quoted as saying that he welcomes negative feedback for his growth, along with the overwhelmingly positive reviews he gets. 6. He’s a dapper don. If you stalk his Instagram like you should, you’ll see that Adekunle’s style is quite meticulous. He’s often seen in bespoke suits made from Adire, batik, aso-oke and other African textiles, but is also careful to adorn himself with the finest accoutrements. Dekunle sings mostly in Yoruba, but he often throws in Pidgin and English for his non-Yoruba listeners. He’s deliberate about reaching out to different demographics through his music, fashion and public commentary. His newest single, Call on Me, which has fans from across the globe competing in his social media dance challenge. The debut single that put him on the map in 2014, Sade, the lead from the Gold album. If you’re a fan of Naija’s latest golden boy, tell us why you love him in the comments. For more info, follow @adekunlegold on Instagram and other social media outlets. Brooklyn x Lagos – Ololade is a proud village woman, author, techie and entrepreneur. She is the founder of the Yoruba Cultural Institute and Nollywood Diaspora Film Series.